Please select a medicine cabinet to go with your purchase at no charge! 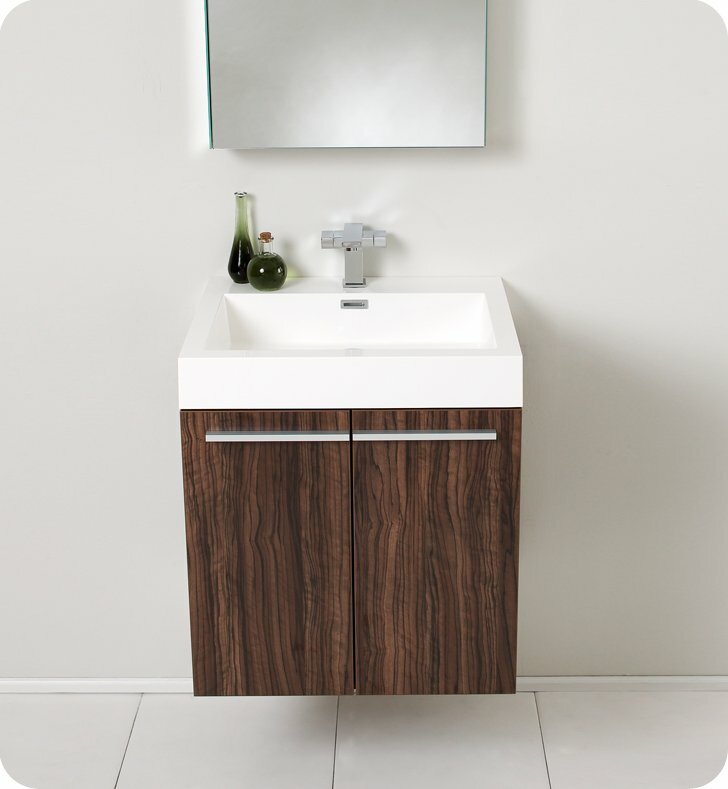 Take your bathroom from basic to beautiful with the trendsetting Fresca Alto Modern Bathroom Vanity with Medicine Cabinet in sophisticated Walnut. 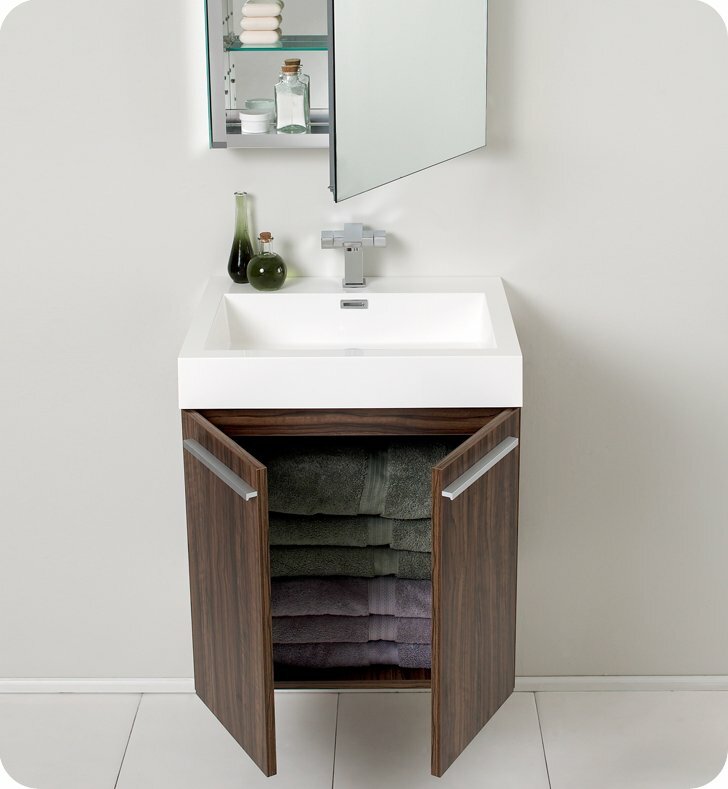 This contemporary vanity provides superior storage and elegant style. 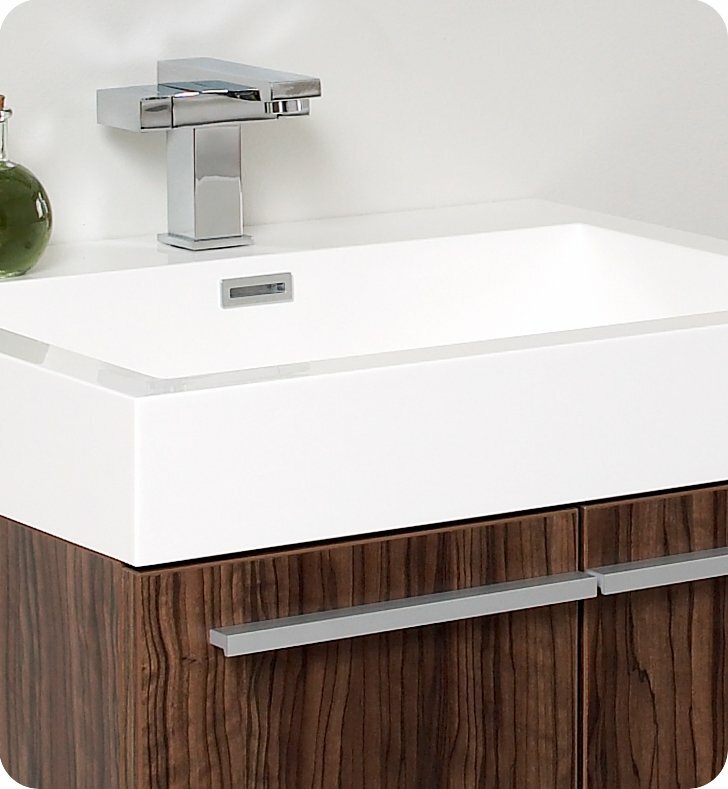 With soft close doors and sleek brushed pulls, this bathroom vanity is modern simplicity at its best. 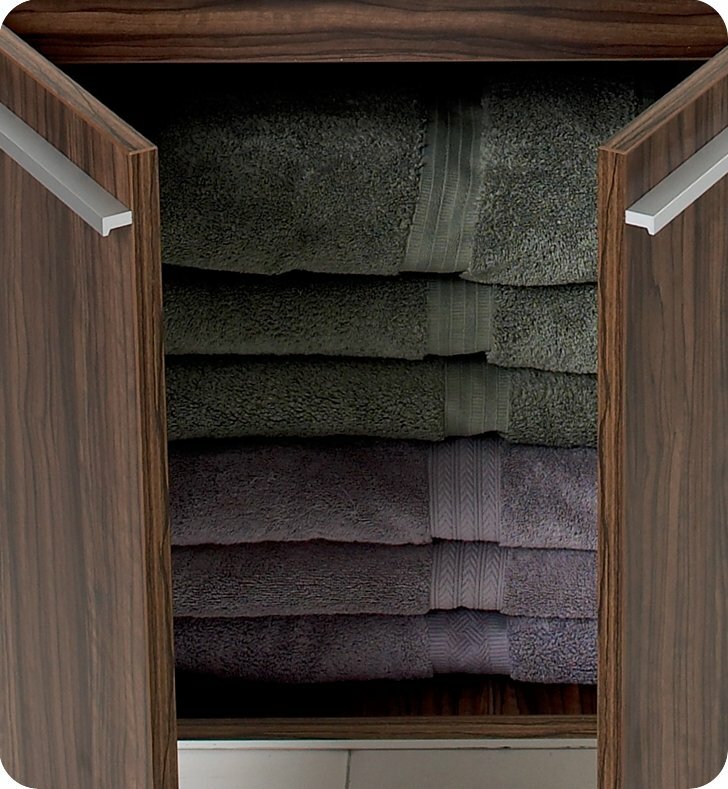 The doors feature innovative CLIP top Blum hinges ensuring the doors close silently and effortlessly every time. 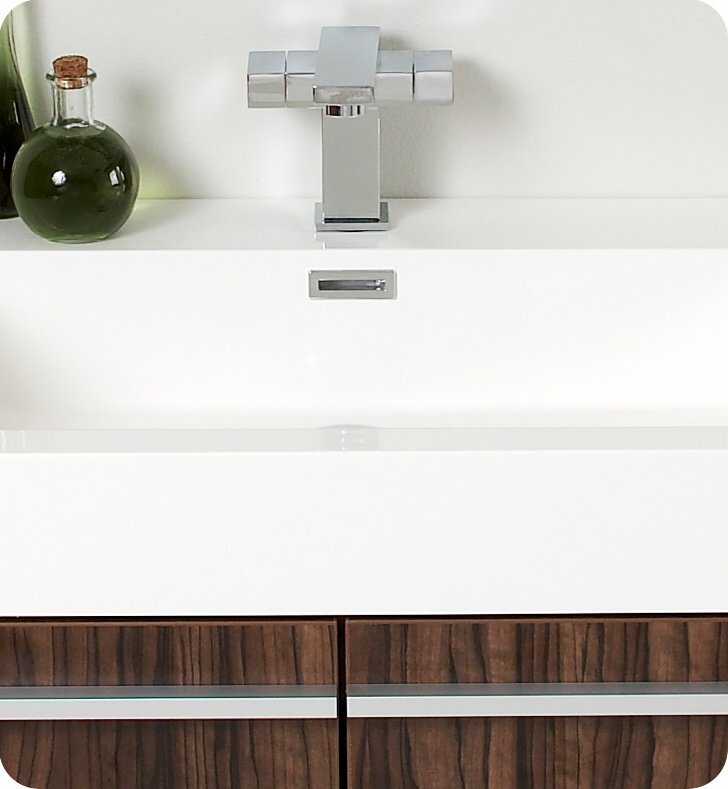 A trendy rectangular sink with clean lines and a white finish completes the look and adds additional urban flair. The sink has a single hole faucet mount and integrated overflow. 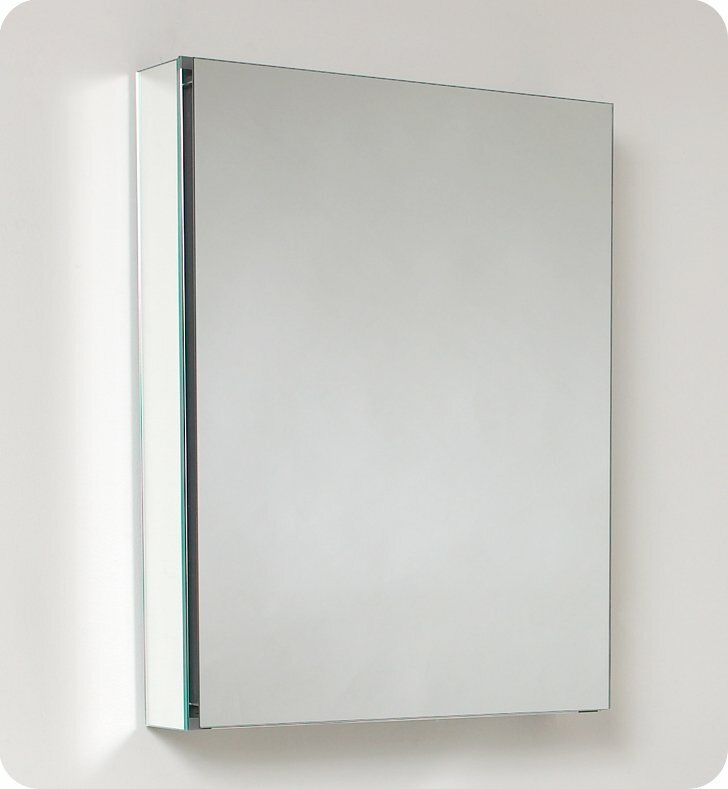 Measuring 23” in width, this wall mounted floating vanity is ideal for large or small bathrooms. 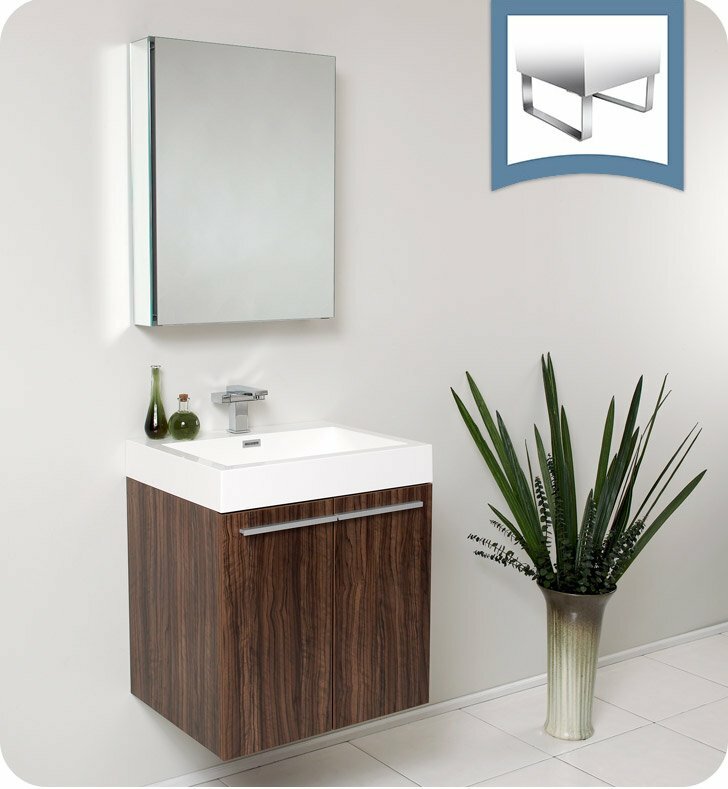 With a warm Walnut finish, the Fresca Alto Modern Bathroom Vanity really captures attention. 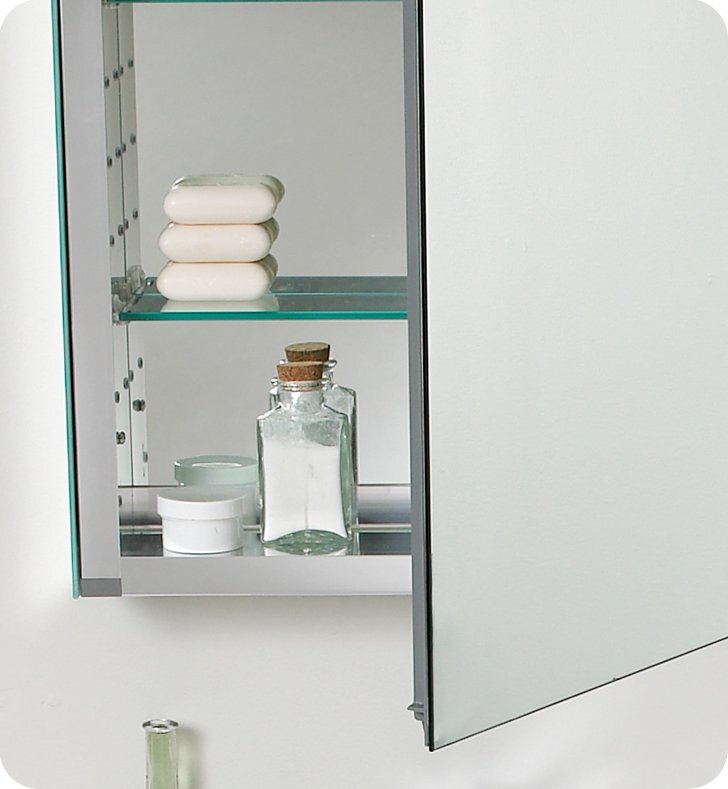 The frameless Medicine Cabinet features an interior mirror and two adjustable glass shelves to hold items of varying sizes. An anodized aluminum frame creates a moisture and dust resistant interior. This medicine cabinet blends beautifully with any decorating scheme. It measures 19.5” wide x 26” high x 5” deep. Sink has roomy back edge. Excellent product, it made china but quality is very good. I would recommend it to anyone.